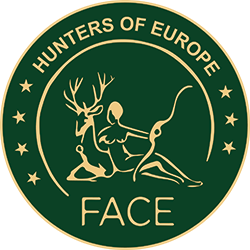 On Tuesday, 28 November 2017, the Christmas dinner organised by FACE and the Association of European Manufacturers of Sporting Firearms (ESFAM) has been the occasion for hunters and producers of sporting and hunting firearms to meet Members of the European Parliament and officials from the European Commission and Council and other organisations sensitive to the matter. The dinner hosted a fruitful debate with the aim to strengthen the relationships and the alliance between hunters, producers and decision makers in order to defend and promote the right of the legal possession and use of firearms in sporting and hunting activities. Also, it has been underlined and acknowledged the extremely positive impact of hunting and firearms industry on the European economy in terms of firearms, ammunition, leases and equipment expenditures. Furthermore, FACE thanked the industry representatives for financial contributions to many biodiversity projects. The event registered the active presence and support of several Members of the European Parliament: Karl-Heinz Florenz (Germany, EPP, President of the EP Intergroup “Biodiversity, Hunting, Countryside”), Markus Ferber (Germany, EPP), Edouard Ferrand (France, ENF), Philippe Loiseau (France, ENF), Dominique Martin (France, ENF), Jørn Dohrmann (Denmark, ECR), Brando Benifei (Italy, S&D), Lara Comi (Italy, EPP), Luigi Morgano (Italy, S&D), Dr. Georg Mayer (Austria, ENF) and Emma McClarkin (United Kingdom, ECR).